Prog Rock completely passed me by, Punk had signed its death warrant long before my musical awareness took hold. By comparison, Melodic Rock wasn’t rebellious or loud enough to warrant my youthful attention when the likes of Overkill and the Almighty could deliver. But with time and experience, you can come to appreciated things missed the first time around and this can be said of both genres. This interest not only resurrects old bands but spawns new ones like Coralspin. All the hooks are there, the keyboard interludes, the excessively long tracks emphasised with the seven minute long album opener ‘Sons Of The Sleeping Giant’. Add to this the haunting vocals, dominant keyboard sound and you are in no illusion to where the band has taken its inspiration. Tracks like ‘You’re Wrong’ has echoes of other great female vocalists matched to a backing track that Journey could have penned. Keyboards and vocals take centre stage on the majority of the album but more traditional guitar sound can be sort out on tracks like ‘Burn My Eyes’ which conjures images of Blakes 7 and other classic British Sci-Fi for some unknown reason. For me, ‘Night Stalker’ is the stand out track with its Mike Oldfield-esque guitar sound and upbeat rhythms and vocals. There is a real subtlety to the tracks on ‘Honey and Lava’, no need to force the issue, rather let the silky professional sound flow over the listener with an easy intensely hypnotic sound. 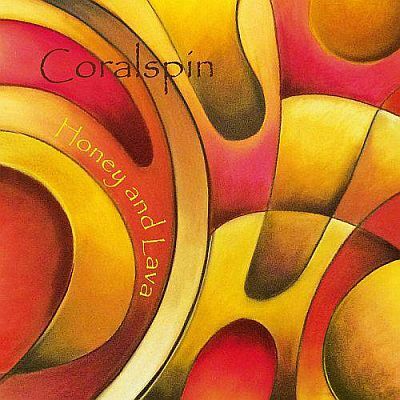 Coralspin is never going to provide the strength and power I yearned for as a youth but what it does provide is an album of a classic sound that is both technically brilliant and beautiful in its delivery. Maybe I did miss something in the loud intensity of music all those years ago.